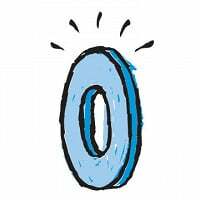 Could you write about 50ish women in today's tough market with our savings wiped out. The lack of choices we seem to have to have left. How we are fighting back. Need advice on best way to help support my sister in law, who's husband has liposarcoma and losing battle. Feel so inadequate. Her church is amazing network providing meals, etc. I need to help HER. I haven't read the book. It is on the pile of books beside my bed. I got this inspirational video of the authors and posted it on the facebook page in December. The author made a speech about about the sisterhood of women. It was a simple and POWERFUL message. Within a week many of my friends had posted the clip too. I can't wait to read. It is so exciting to have her here today. I just finished your book over the weekend. At the moment I was reading the chapter where she is meeting with friends to celebrate her last day of radiation treatment I received a call from my sister who had just received the same invite to celebrate with a mutual friend who is undergoing cancer treatments. The humor in this book is wonderful and so well used to discuss a very difficult topic. I am blessed to have a Greenie in my life. Her relationship with her dad is a wonderful tribute to all who are great parents to their children! So many of us are in "the middle place" - and this book captures those challenges so well! Thank you to my sisters, who help me every day along the way. I also just finished your book over the weekend, and at the end I felt like I was saying goodbye to someone who had become a very good friend. Now that I have found your blog too, I'll be sharing a cup of latte with you more often. Thanks for your book and for allowing so many of us to become vicarious friends. My daughters and friends have been raving about your book. I've just ordered it and can't wait to read. Congratulations (and, great find, Grommet). I hadn't yet heard of this book or seen the video and I'm so glad you brought it to my attention Daily Grommet! I just watched the video and it is so touching. I'm not in that middle place yet, but I can see the walls moving in...it's not far off. I'm curious...those who have Pigeon Groups (groups of women friends that have been together for years) what was your common bond...how did it start and what kept it together? I'd love to know! Kelly - your memories from your teenage years are so vivid and real. And I have to say, it took real courage to put some of them out there. I feel like I know your mom (in fact, she sounds just like mine) -- were you at all worried about how some of what you wrote about about would go over with her? Seemed like you just decided to go for it and be totally open and honest about your feelings -- even when you knew you were being selfish (like being bothered about your husband talking to his own parents ...). I'm amazed and so envious that you had the courage to do that. Loved, loved, loved your book! I am so excited to read this book. I'm going to suggest it for my book club. I had been sent the UTube video but I didn't know that she had written a book. Thanks Kelly and thanks Grommet! Hi all. Some answers: My mom. She loves the book, amazingly. Her only regret was that I told the world I was drunk at a dance. I think she knows (and can see it in the pages) that her presence in my life has become so crucial over time and that the role she plays is irreplaceable. About a second book. I am working on something now. I have learned, though, that the more I talk about it, the harder it is to write. It removes the impetus to write since I can work through the idea in conversation. In other words, I need a reason to write it all out. I have become such a fan of your writing - I've read your book 3 times! As a 40ish year old strong, Irish American mom, daughter, wife, and sister, the relationships in my life mirror those in your book, particularly with your mom and Greenie. I live many hours away from my parents, but to paraphrase you, very little in my life is 'real' until I share it with them. I have so many pages dog-eared in my copy of The Middle Place - almost all of them are at the end of the chapters, where there is almost always a little nugget of beauty or truth. My favorite is the quote from your dad: “…I just love the way he looks at you.” My heart melted! I recommended your book for one of my book clubs, and we’re all reading it now. Early reviews are, not surprisingly, glowing. Your writing is so relatable, so current. I can’t wait for our book club to get together (over wine, of course) to talk about TMP and how we each, individually, related to your story. No pressure, but I also can’t wait to read whatever comes next! Thank you for your book, and for the amazing video. Your talent is a blessing to your readers. PS - Do you have any plans for a book reading or vist to the Northern Virginia area? 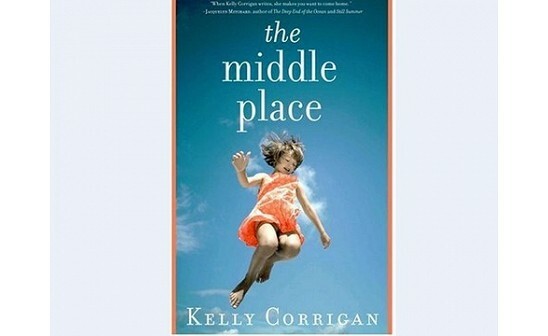 I just watched the YouTube video and I can't wait to read The Middle Place (I'm going to buy it today, thanks Grommet). The message in the video made me crave the companionship of my closest friends even more than I usually do. It also is inspiring me to get out there and make friends in my new hometown, instead of just missing those I left behind when I moved. One question (from someone who would love to write a book): Do you have a favorite time of day to write, or a regular window of time when you can just step away from the day's craziness and focus on writing? I'm sure you've heard this a thousand times but...a girlfriend forwarded your video to me during the holiday craziness. I'm not one to open chain email attachments but for some reason I decided I could use a break from the noise and to listen to words of wisdom from a neutral party. Well, thankfully, I had myself a good 15 minutes of free therapy -- full of laughter and tears. I've felt like a million bucks ever since. Many thanks to you, and I look forward to reading your book. Kelly - loved the video and looking forward to reading the book. @Colleen. I'm so sorry to hear about your brother-in-law. Kelly actually has an amazing website called Circus of Cancer - which she calls a "How-to site" for helping friends who have been diagnosed with cancer. Obviously your case is different, but this could be a great place to go for ideas to help your sister-in-law in ways you might not have thought about. My grandmother was a great role model for strength....married to an abusive alcoholic, she used to hide the few dollars she made working in the refrigerated section of a meat market so that she could feed and clothe her children. She lived simply and frugally and never lost her spirit. She loved her kids and us grandkids -- she always made us feel REALLY SPECIAL. She was my matron of honor at my wedding. I miss her! I read this book in one day-it hit home with me on so many levels. I am exactly the same age (in fact I think you went to Univ. of Richmond with one of my high school friends), lost my mother to cancer five years ago, and am lucky enough to have an AMAZING circle of friends who pulled me through that and so much more. Kelly, your sense of humor is great, your references to pop culture in the eighties was dead right (I, too, coveted those Guess jeans) and had me laughing and reading parts out loud to my husband. You truly have a gift, and I am so glad I was lucky enough to discover it! I also read your blog columns and love them. Thanks for sharing yourself with all of us. I can hardly wait to read the book. I have viewed the YouTube Transcending video and it moved myself and many of my friends to tears. It is our book club book for February. Thank you from a fellow two time cancer survivor. I ordered your book today! I was so inspired by what I heard - I had to have it. 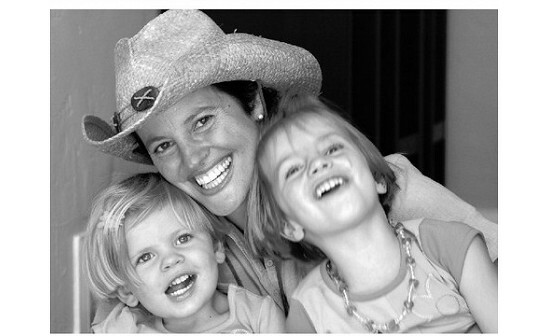 I am a mom of four and find that laughter (and maybe a glass of wine) gets me through the day. I am also looking for an opportunity for me - I think reading something inspirational can give insight - maybe open you up to more ideas. Until then - I have a request to snuggle. Thanks for sharing D.G. True Story. Every summer, I spend as much time as possible reading on the dock in Maine. I do this with my sisters while the kids whoop, splash and sometimes fight around us. When there's a good book on the dock we've been known to rip it in half....no time to wait for that sister to finish. The Middle Place is a ripper. I read your book over a weekend. I related to your story on so many levels. The adoring father, the sensible mother, the catholic upbringing, my mother having breast cancer and the many many stories about growing up in the 80's. I am laughing as I reflect on the whole prom/hair chapter. It now seems so long ago. Parenting seemed much easier then. Now the mother of two kids I admire your parents and mine for instilling a sense of independence. Thanks for writing such a heart-felt book. Kelly, your video has inspired me to buy the book. Looking forward to reading it. Great find Grommet! Looks like a good possible choice for my book club. @Diana. I so loved the story of your formidable grandmother. And the idea of her being your matron of honor is priceless. You (and she) are one of a kind! Kelly, I have to say THANK YOU for your personal support of a foundation started by my dear friend. You did a reading to raise money for the Maggie Rose Perinatal Bereavement Program, founded by Alessandra and Clayton Rose. Alessandra just told me about this tonight. Not only are you talented, but you are clearly committed to "doing good". I salute you. Thanks for utilizing your talents to make a positive difference. I think "The Middle Place is a ripper" might be my favorite review of all time. So glad you liked it. That night in Bedford was wonderful. An unexpected upside to the book is being able to help people like the Rose Family. Make sure to read the chapter about fertility and my feelings about moms of four. Rock on. And tell the dads you know that if they need a way to think about themselves as fathers, The Middle Place might be worth a read. Kelly Corrigan's Transcending is awesome in how it makes you believe that groups of girlfriends are the same everywhere. The fights, the crying, the playdates, the yoga classes, sicknesses, and laughter, it's everywhere we all share it! I love that she doesn't change characters or stories to identify with more people, The Middle Place is her story but somehow transcends for us all. The Daily Grommet team got its first taste of author Kelly Corrigan through a YouTube video gone viral. It had over 300,000 views when it first arrived in Jeanne’s inbox, and 2 million just two weeks later. Corrigan’s words inspired a stirring feeling of sisterhood, and wanting more, we found her book, The Middle Place, just released in paperback. 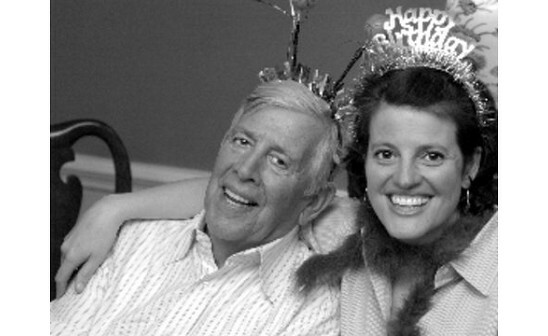 Corrigan’s memoir, about being a busy mom faced with two bouts of cancer (her own, and her father’s), made similar rounds. Reader after reader found themselves profoundly touched by the way she reaches way back and down deep to tell her story with rip roaring humor, painfully honest inner thoughts, and personal details that are scary because so many of them are (personally) familiar. From her retelling of the “Guess Jeans Fight” she had with her mom back in 1984, to losing track of her toddler on a beach vacation (and the sheer panic that followed), Corrigan’s anecdotes have the power to make you laugh and cry. Even if you’re nothing like her, you’ve been there. And as you read, you’ll find yourself reading poignant passages to your family and your friends, because it’s just that good.